Vivo IPL 2017 Opening Ceremony: The 10th edition of IPL 2017 has kicked off with a grand first opening ceremony.so we all extracted the limelight of the evening from the two-hour long show.The beautiful Actress Amy Jackson stole the show with her breathtaking dance performance on Bollywood peppy songs. 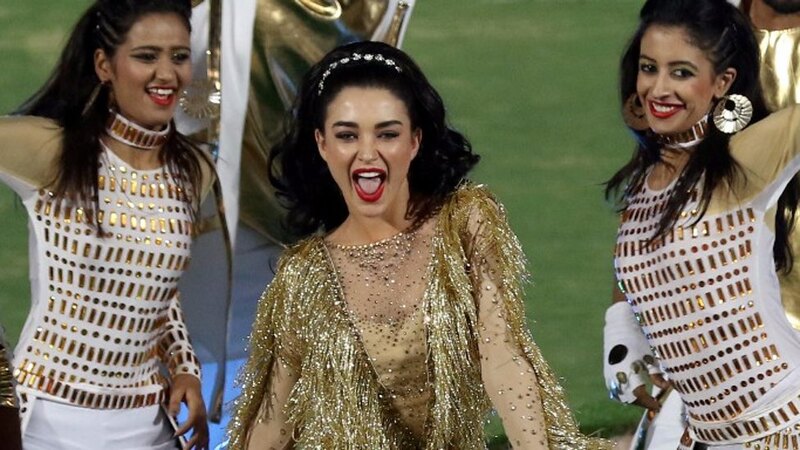 Amy Jackson made headlines yesterday for she was all set to put the dance floor on fire at the IPL 2017 opening ceremony, but when the moment for which fans were waiting eagerly finally came, they were left disappointed as her gig failed to impress them.What followed next was an army of trolls, calling it a flop show and the Singh Is Bling actress’ performance “pathetic”. The actress arrived amid the firecrackers dressed looking like a doll but failed to impress the audience by her antics.The trolling started almost immediately after her performance began.